You can do a lot of living in seven days, in Portugal – without dancing ‘til dawn in a Lisbon nightclub. I’m talking about a simpler, unplugged kind of living. One endless summer's day after another. 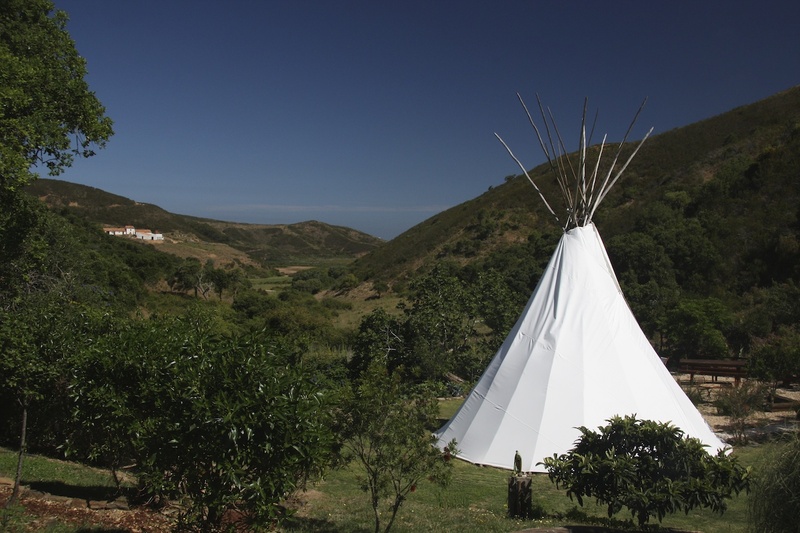 And a couple of weeks ago I found just the place to try it, if only for a week (for starters): Tipi Valley, a surf-and-yoga camp on Portugal's rugged Atlantic coast. 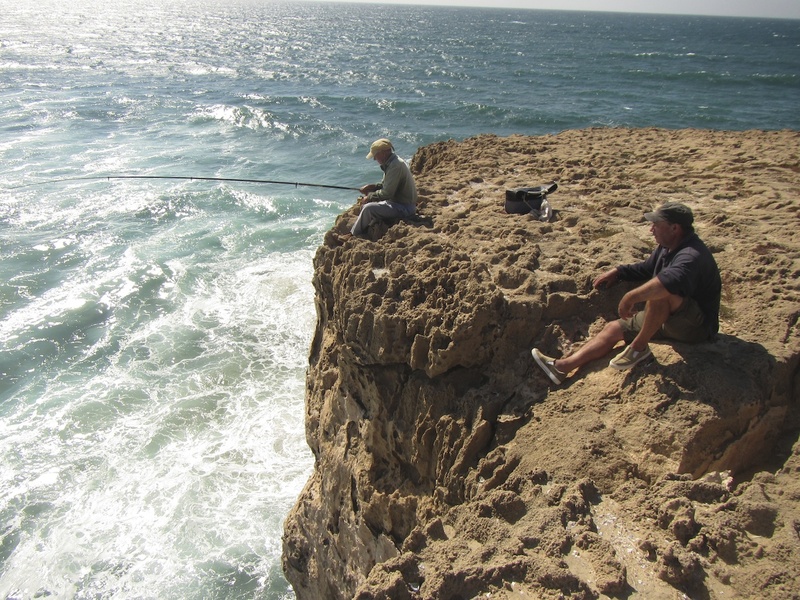 Here, land meets sea at pristine beaches flanked by dramatic cliffs, and fishermen perch 30 metres above the crashing Atlantic, hoping for a bite that won't pull them to their deaths. The only signs of man are a few snaking coastal roads and cobble-streeted villages nestled in lush valleys (many of their terracotta-tile roofs sporting solar panels, a new decree). 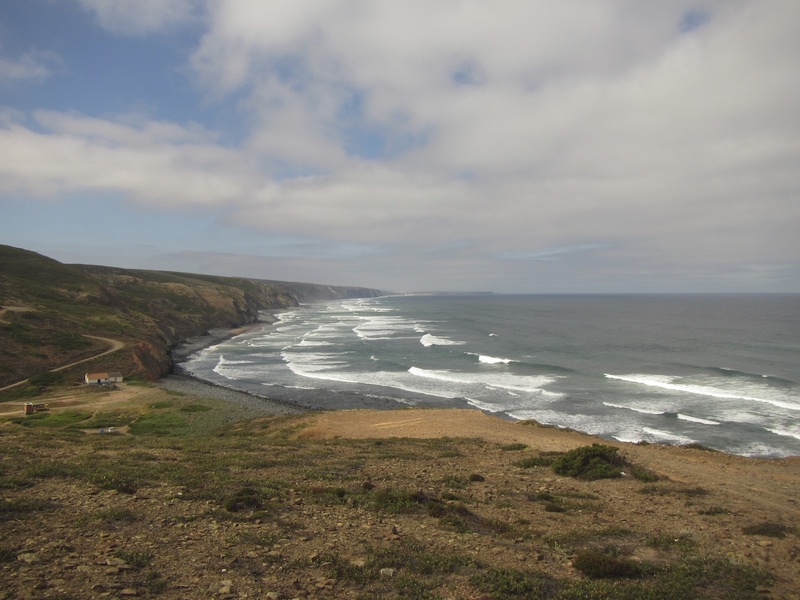 Oh, and a new 110-kilometre walking trail, the Rota Vicentina (opened in 2013), along what The Guardian calls “the wildest, most unspoilt coastline in southern Europe” in Southwest Alentijo and Vicentine Coast Natural Park. (I day-walked part of it before arriving at Tipi Valley and found a paradise of wildflowers - see the pics here). The camp is the accidental dream of Laurie Quirk, an Australian surfer I met when we were both living in Japan 20 years ago (which is how I came to stay at Tipi Valley). A nomad by nature, he was lured to this part of Portugal by the promise of perfect, uncrowded waves 10 years ago, found some land (six hectares) in a peaceful valley near the historic town of Aljezur (we saw a man in a donkey-drawn cart in the main street one afternoon), bought a teepee "made in the Netherlands from a Belgian guy living in a German fire truck" and dived headfirst into a simple, natural life - surfing, doing yoga, growing his own organic vegetables. 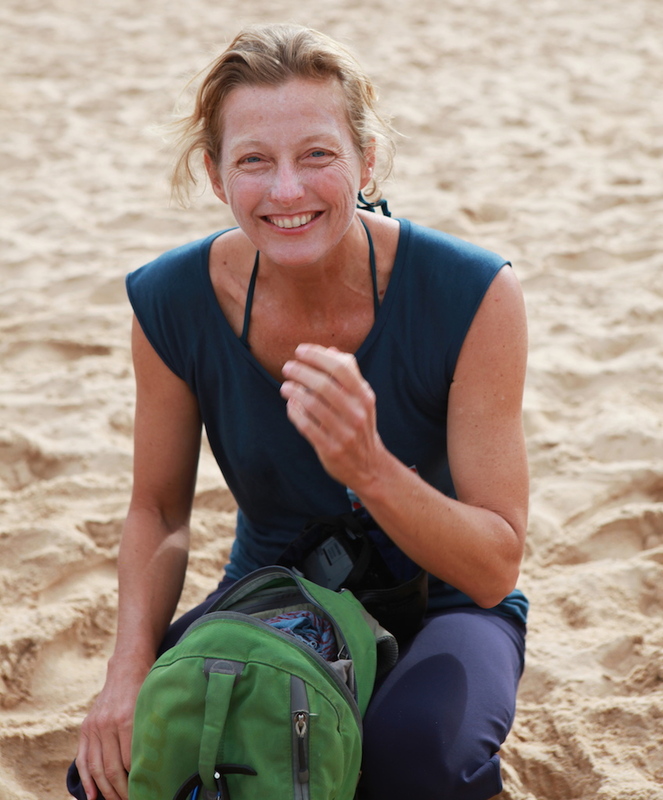 One night, Laurie was sitting around a campfire with a few mates when one of them said, "You know, a lot of people would love to come and live like this for a week: to surf (or learn how to), do yoga, live simply in a natural place." So Tipi Valley was born - authentically, out of Laurie's own life. 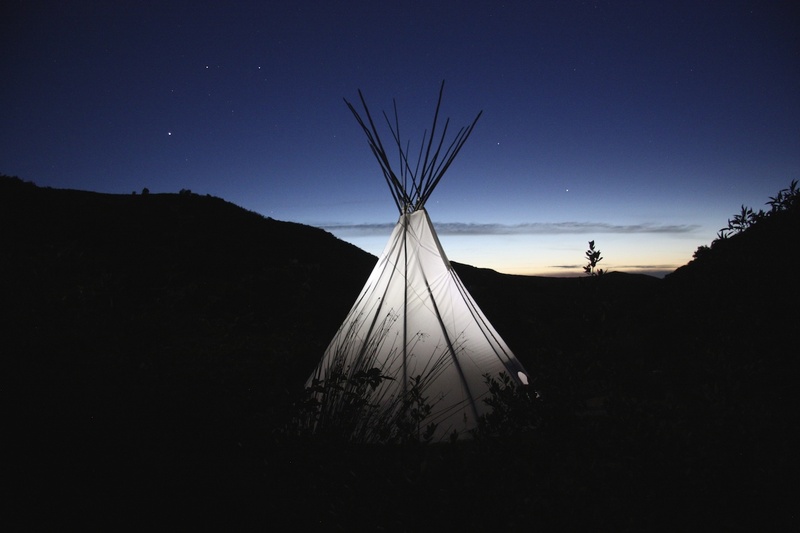 Eight years on, Tipi Valley remains faithful to its simple roots. It's small, accommodating up to 12 guests at a time (there were only six of us the week I was there). 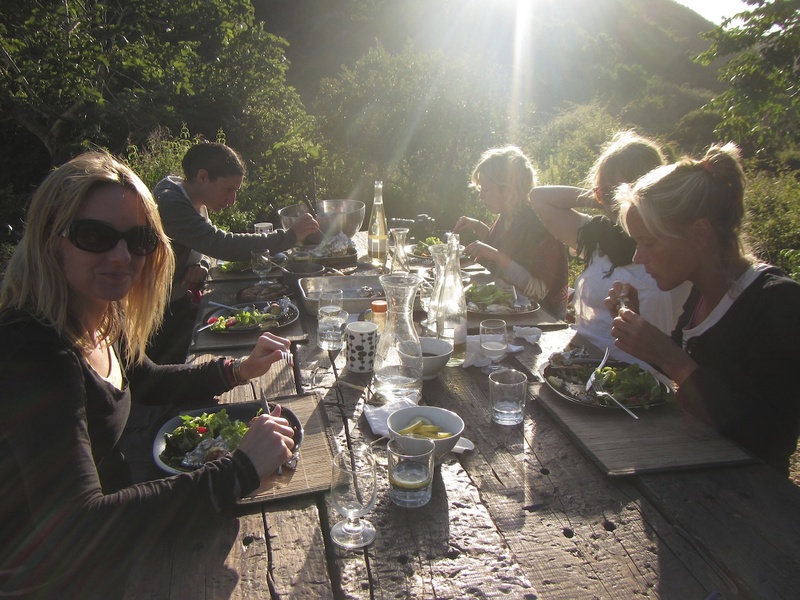 It's off-the-grid: there's no mains electricity or town water, no mobile reception or wifi. There's solar electricity, water from a well, bottled gas for cooking. (And no need for a generator, so the camp is blissfully quiet at night, but for the rumble of the surf). It's rustic, but not rough. 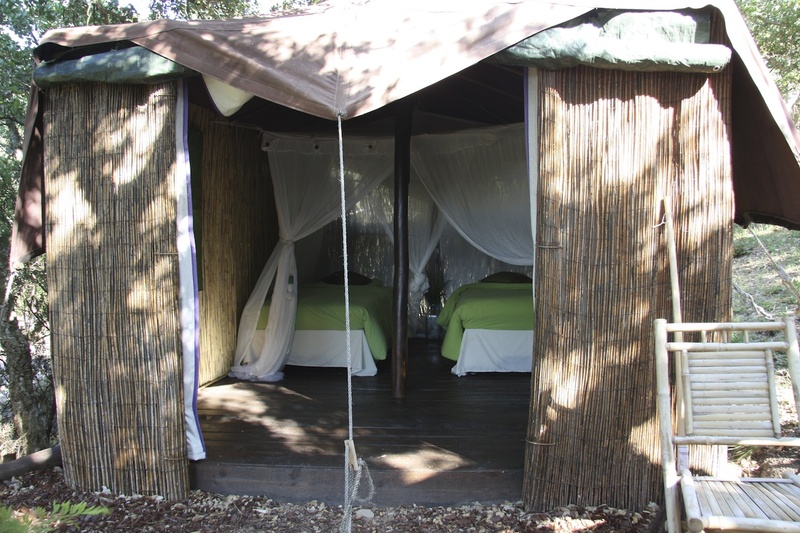 There are comfortable beds with mosquito nets in every teepee/tent. Posies of wildflowers in glass jars. Locally sourced bamboo-walled bathrooms (with solar hot showers) open to the sky and the stars. The Moroccan Lounge communal tent has couches, books and a hamper of blankets for cool nights. 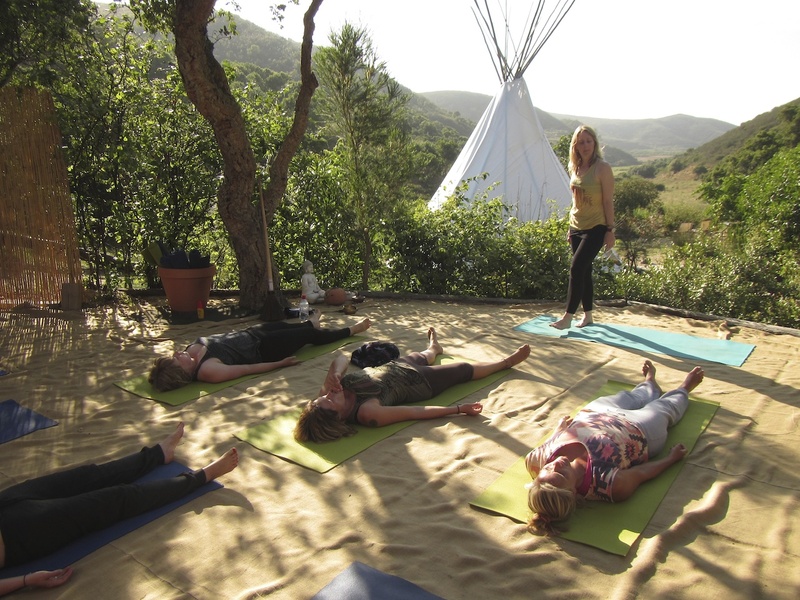 There's a beautifully simple yoga space: a hessian-covered padded floor (yoga mats are provided too) shaded by native cork trees, with views past the big teepee down the valley. The camp is also open only half the year (May-October). People would come at other times, Laurie says, particularly to escape the northern European winter, but in keeping with Tipi Valley's low-impact ethos, he and his staff remove all trace of it at the end of each summer to let the land rest between seasons. Our days tumbled into an easy routine. 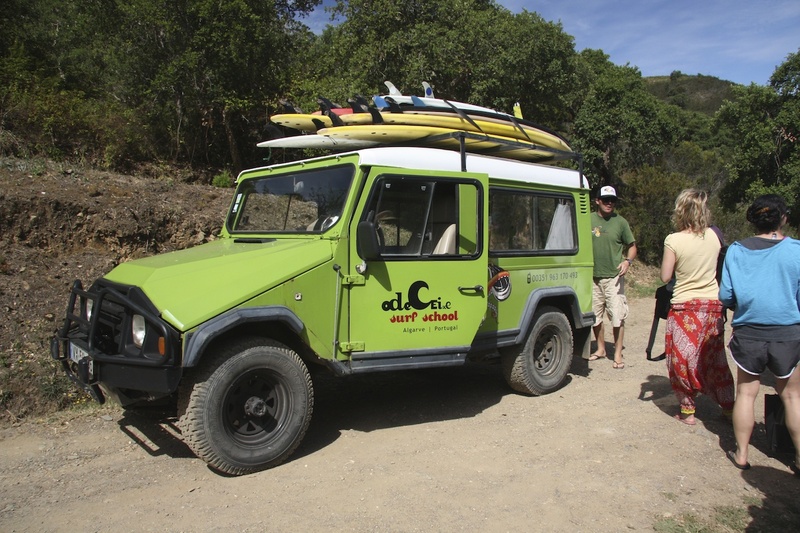 After morning yoga and breakfast, David from Odeceixe Surf School would pick us up in his lime-green, ex-Portugese army jeep to take us to one of three local beaches: Odeceixe, Monte Clerigo or Amoreira. I'd surf while the others had a two-hour lesson, then we'd all hang out on the beach, swim (in the freezing Atlantic! We wore 4/3 wetsuits when surfing) and treat ourselves to post-surf pasteis de nata (Portugese for baked deliciousness) or Sagres beer. Back at camp, there'd be time for showers before the evening yoga session, then dinner, made from ingredients gathered from the garden or local fish and produce from Aljezur's market. A couple of mornings, Laurie picked me up in his ute (he lives in a passive-solar house he built on the property) for an early surf before breakfast. One spot, a right-hander at the end of a steep and deeply rutted dirt road, looked lost in time. No one around, the undeveloped coastline stretching north and south as far as we could see. "It's like Rincon [a now-famous break in southern California] in the '60s," Laurie said, half-joking. 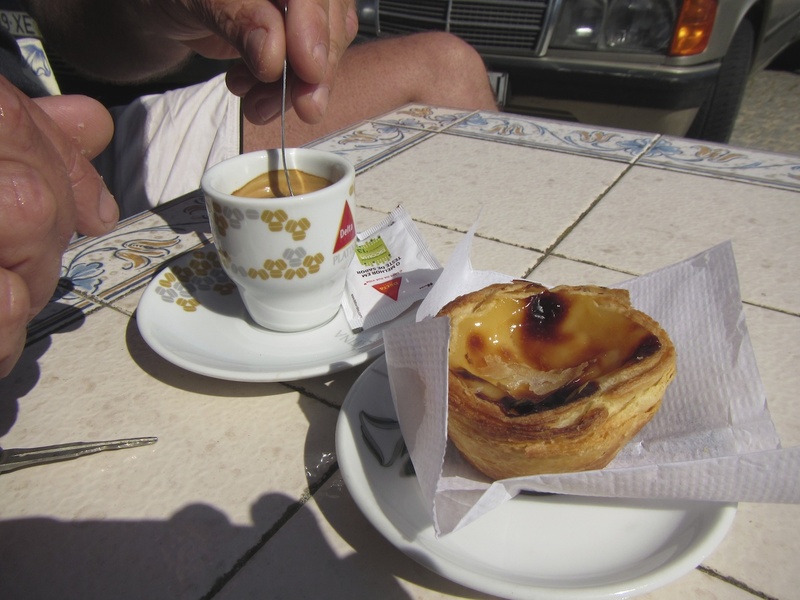 We surfed it by ourselves for an hour, then drove to the nearest village to warm up with espressos and freshly baked pasteis de nata. 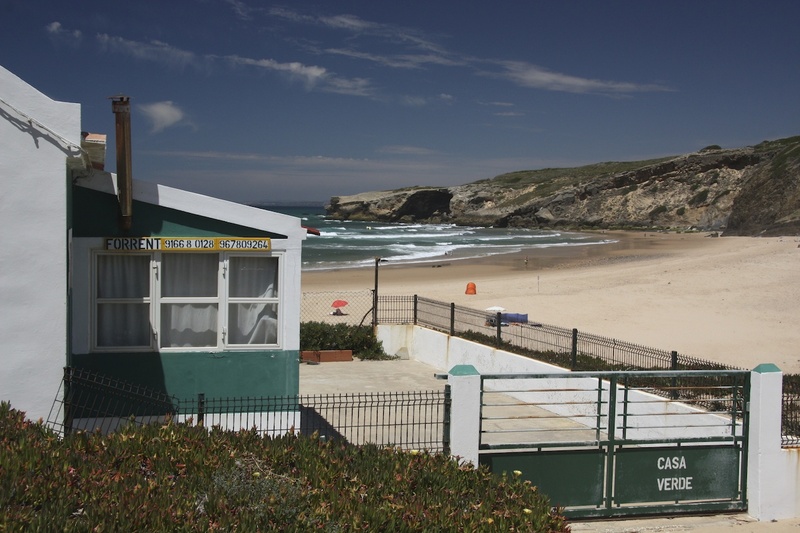 A mini surf trip, Portugese-style. I even found my next European summerhouse (maybe): right on the beach, with a hand-painted "for rent" sign and a very No Impact Girl name on the gate: Casa Verde ("green house"). A week of "getting back to it all"
Tipi Valley is a special place: where life slows down, a week feels like a month and everything you do is simple, natural goodness for body, heart and soul (yes, even the daily pasteis de nata!). You eat all your meals outdoors, forget to wear shoes and tune in to daily miracles like the waves falling over each other onto the shore and nature's ever-changing light show, presented by our ever-generous sponsor, the sun. Liberated from our devices, away from news and emails, we interacted only with the people we could speak to, face to face (in my case, five beautiful, like-minded women from the UK, New York and the Netherlands). Isn't that always the way, only we just need reminding now and then? Disconnecting from the wider world, we reconnect with those around us, and to the day's rhythms, and our own. It's just as Tasmanian photographer Peter Dombrovskis (1945-1996) said, years ago: "When you go out there [to the wilderness], you don't get away from it all, you get back to it all. You come home to what's important. You come home to yourself." Thanks Nadia, yeah Tipi Valley made all the more special for people like you. Great to know you too. Casa Verde, here we come! an idyllic exist4ence in a beautiful country - such natural diversity - and the cities are pretty schmick too. Loved this story.